SharePoint 2010 ULS logging adds a very useful new column called the Correlation ID. 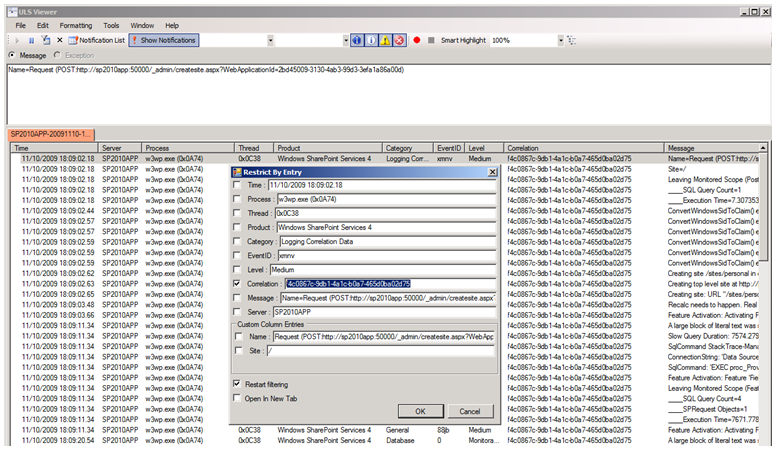 The ID tracks a request and greatly simplifies finding detailed error logging in SharePoint trace logs. Additionally, Mattias Karlson points out that there’s a new CodePlex project called ULSViewer which parses SharePoint 2010 logs in a friendly view.